A artwork Shall be coming sometime soon! I am debating posting --- (somewhat of a poll)!!RESOLVED!! Welcome to the files that don't end up in the |Stainless trashcan| Folder. These are not art pieces, but rather a snack as I refer it to. 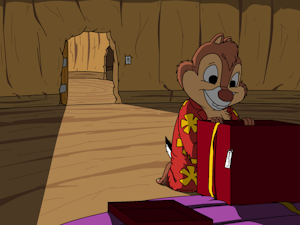 Chip's New Adventures Concept Art. Place to showcase what the characters in the story look like. The actual story series I'm writing. !! !-No longer being continued, instead I'm making a story based off this but different focus and how it's written.-!!! Welcome, dear user, to my profile page. You have probably came here due to my latest submission. And yes, I go by the name Erich Westhoven (As far as you know ;) ) I am a writer and artist.I am now open to requests (Or free commissions). But on to my art, I do it with windows paint and maybe GIMP cause I am a poor man, but don't feel bad for me. I've worked my way around the system. I draw Chip n' Dale rescue rangers related content, and am now open to commissions (free as of right now, so more of a request) And if you want a gauge of what you'll expect, look at my various artworks, especially "Grand Halloween idea" Which is a request by a user. As of my writing. I am as of right now writing a series nicknamed C.N.A for (Chip's new adventures which I plan to have ~ 500,000 words with each 100,000 from different perspectives and each giving details away to the plot and such.) Once again I don't take anything to a sexual level but It will be violent in some cases. To sum up what my writing is like: Many describe it as a very detailed story but I have received constructive criticism from others saying it lacks the connection to characters which I do plan on changing. I do have some chapters done, but the story isn't finished and will be finished anywhere between late this year or early-mid next year. And for side projects I do tend to right short stories on things including my own version of Chip's past. Some information for you to fetch is that I do reside in the middle-west of The United States Of America, and have been born here. As of my time on this site, I've been mainly watching others draw and evolve seeing what I need to do to be acceptable on either my artwork or stories and now I feel confident enough to start my own. That is all, thank you for spending your time reading this short summary, if some of you want a little more detail on this profile description, just shoot it to me via private message. As a final, I wish you all good luck in your endeavors, whatever those might be :). Thanks for the fave and for the welcome to Inkbunny. I absolutely adore your work. I have seen few others attempt to draw Chip or Dale, and none of them have compared to how good you are at recreating their looks. No problem! Your artwork is very cute and good! your welcome ^W^ and thank you for your nice comment. Thanks for the +fav and wellcome to the jungle.. Thanks for the +fav and wellcome to the jungle.‌.